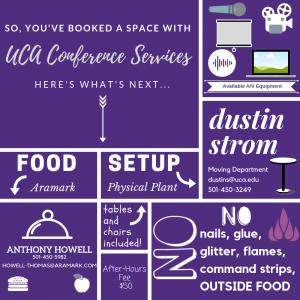 Everyone reserving a space must submit this form to UCA Conference Services at least 2 weeks prior to the requested date. 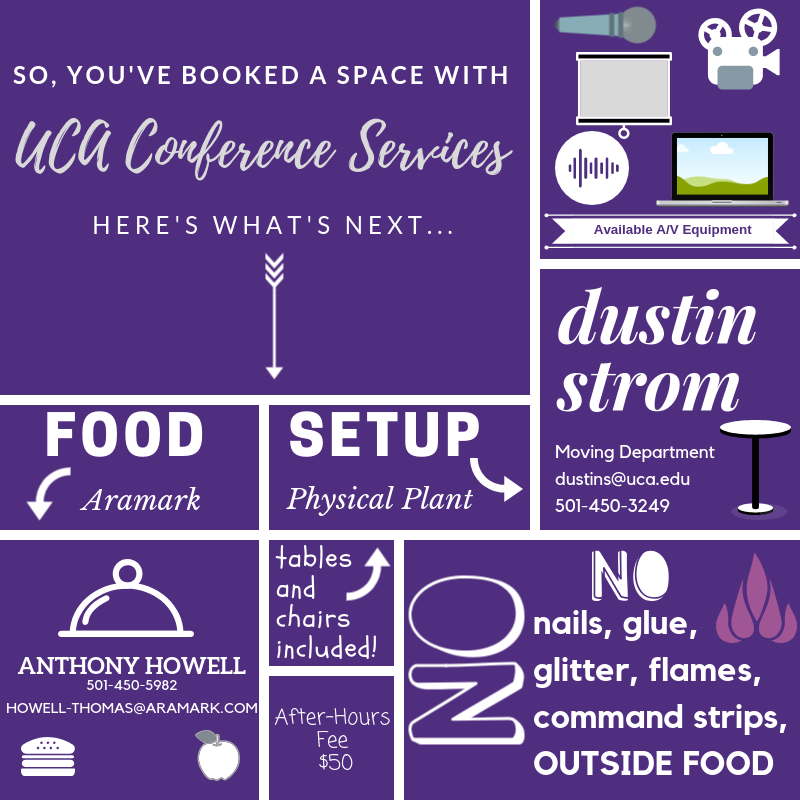 All required forms must be completed and submitted before a reservation can be confirmed – once submitted, the Conference Services staff will reach out within 2-5 business days with an approval status. **When reserving a space on the UCA campus, please be sure to read our General Policy Information attached to the Facility Usage Request Form. 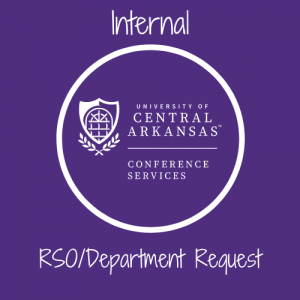 *Fill out the online UCA Facility Usage Request Form & Contract. Per Board Policy – we charge half-rental for any RSO/Department that takes in any remuneration at their event. We also charge a fee for RSO/Departments that are after-hours for staffing ($50). We do not charge for RSO/Department events that take place during work hours and do not take remunerations in.